Wow. 100 posts. Who knew I had so much to say *snort* besides, oh, everyone? Well, happy 100th Blog Post Day to me. Do I get a cake? 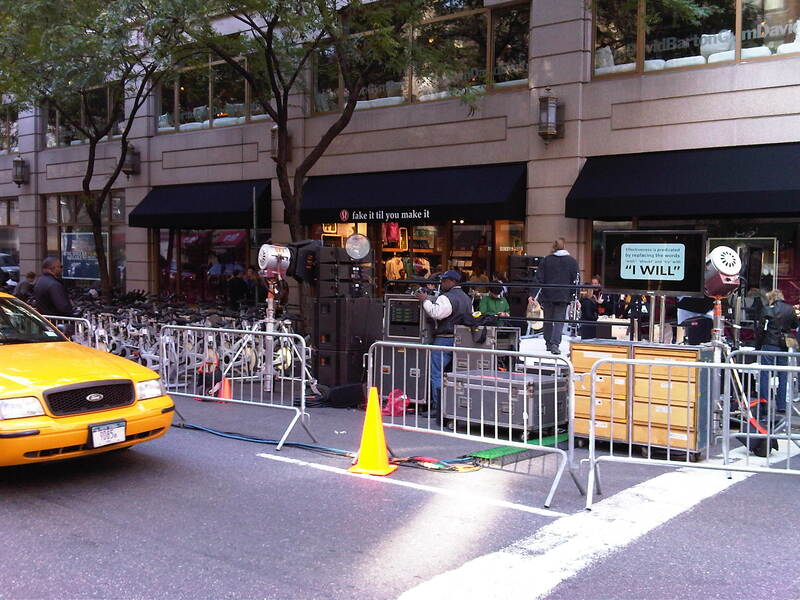 Don’t TV shows celebrate their 100th show with a big cake and a party? I love a party. And cake. All parties and cakes can be directed to my apartment this evening. Today also happens to be the 7 year anniversary of JB & my first date. Awwww…yay us! That’s a long time and a lot of stuff in those 7 years. We don’t celebrate this anniversary anymore (we have a BIGGER one now) but it’s always fun to think back on how it all began when he picked me up in a bar down on the Lower East Side before I said to him, “I gotta go home and sleep so I can run 15 miles tomorrow.” Clearly my little running habit did not intimidate this Marine. 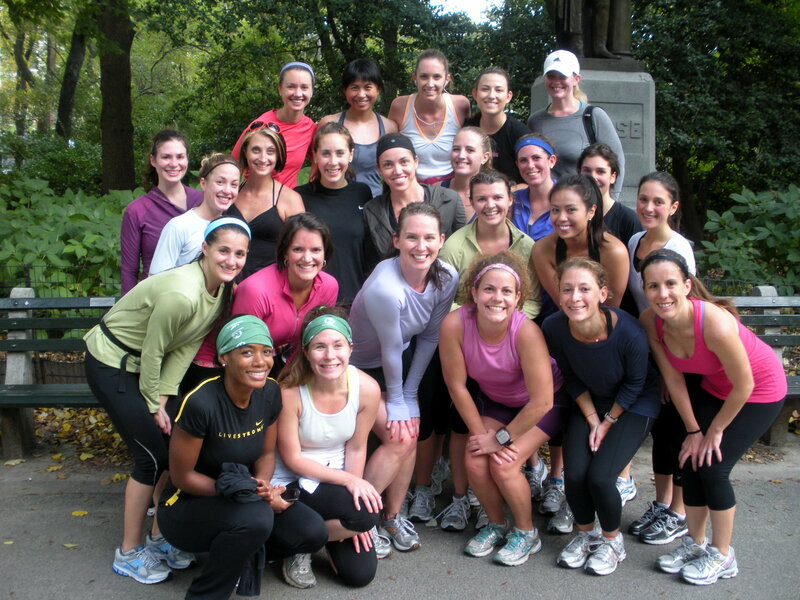 Second date = 12 mile run in Central Park. Swoon. And this weekend was awesome. Let me tell you all about it but let me first suggest this: try something new this week. Variety is the spice of life and of your fitness life, too! Running is so great and I feel better out on the roads than most anywhere else in the world, but I feel so great out there because running isn’t the only thing I do. Ya’ll read about what a bananas schedule I was going to have on Saturday and BANANAS it was! I did it ALL and then I slept for 10 hours, took a 2 hour nap and generally laid around all day on Sunday with JB. Perfect. 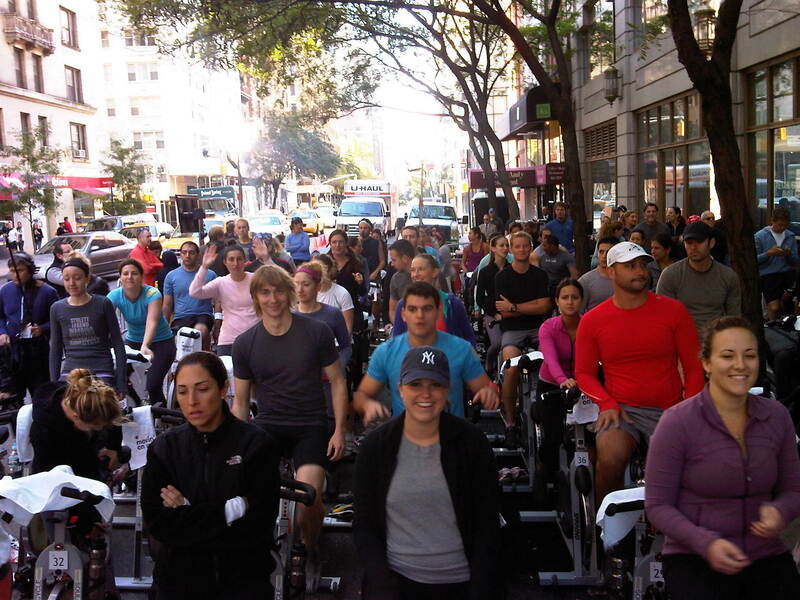 First, let me show how luluelmon athletica celebrates a store opening with a Soul Cycle class in the middle of Madison Avenue. Me (2nd row!) 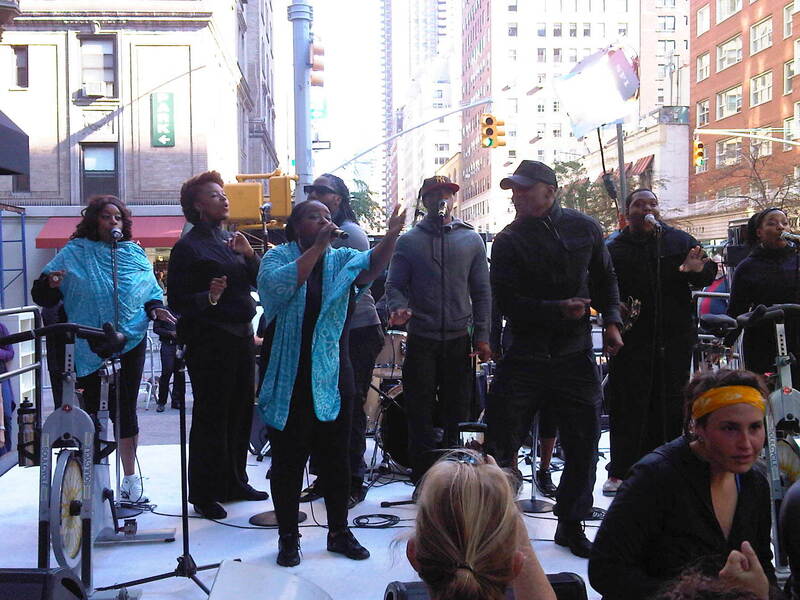 and the Harlem Gospel Choir, who sang as we spun (spinned?). And then I had the distinct pleasure of attending the fabulous Aleah Stander’s “B” to our BRICK class at Flywheel Sports, my own personal heaven. This is what 45 sweaty rock stars looks like. And what I look like after a class. Sweaty. Beast. 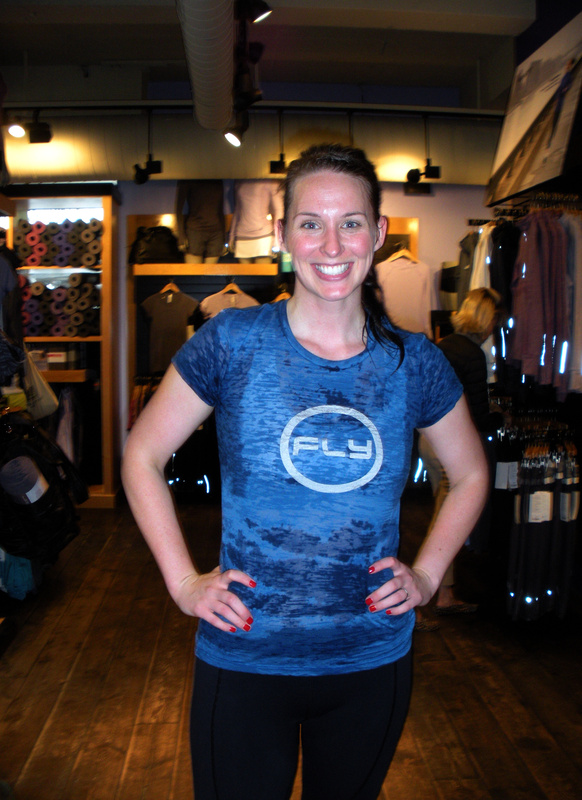 Good thing Flywheel is a judgement-free zone where sweat is concerned! Then we were off to the “R” portion of our BRICK. Central Park was sporting a perfect Fall day for us. There is nothing more inspiring and beautiful than people trying new things and pushing their bodies to new heights. I want to encourage all of you go out and try something new. 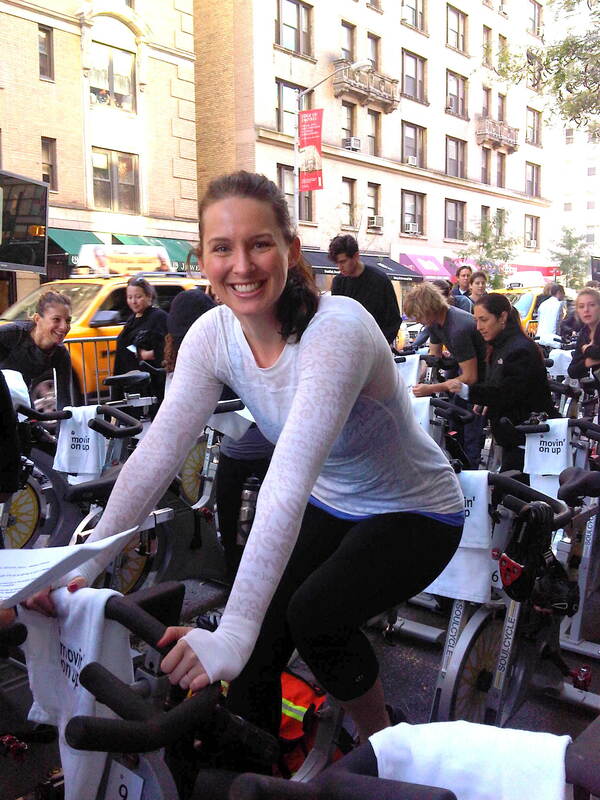 Your own BRICK workout (or come to our next one on Ocotber 29th!). 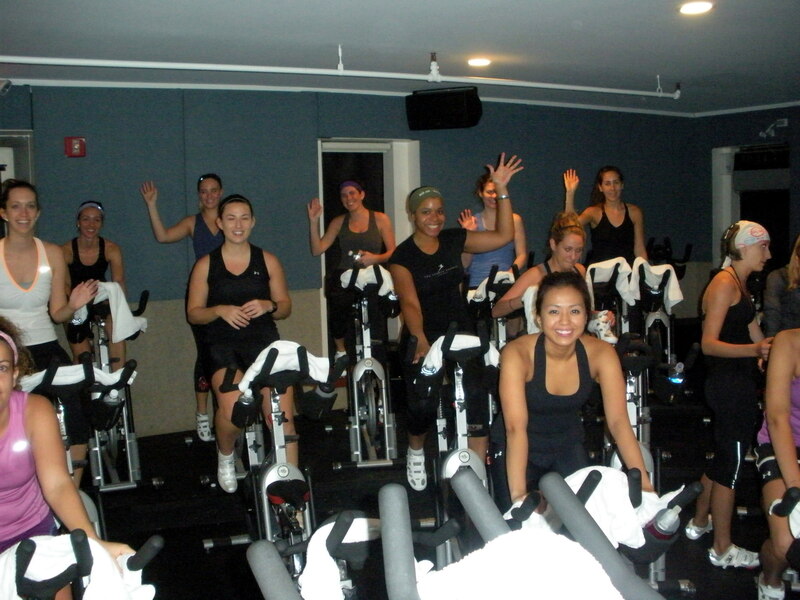 Try an indoor cycling class. Join a tri team. Rollerblade for the first time. Go for a swim in the ocean (not just a dip). Do yoga. Take a dance class. Try a martial art. Do a trapeze class. Ride a horse. 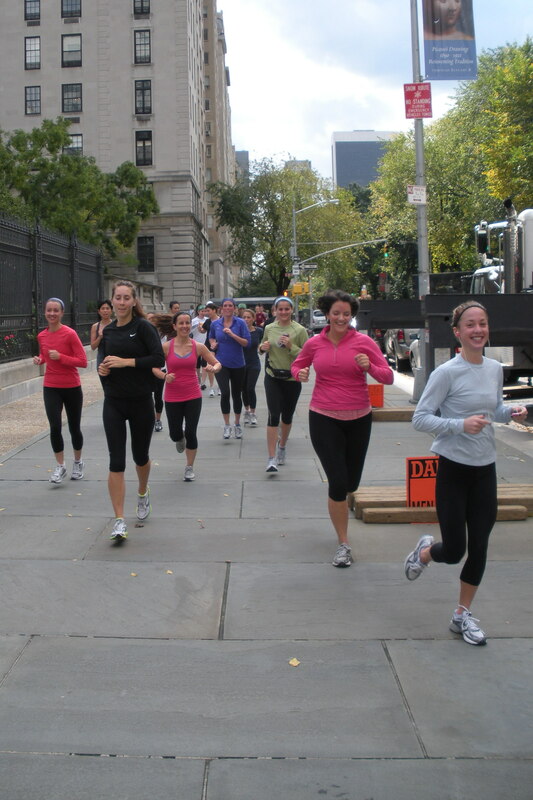 Sign up for an outdoor boot camp class. Do something else. Your body will thank you. Fitness is supposed to be fun. If it’s not fun, you’re doing it WRONG. So, mix it up and seek out other forms of activity. Avoid the rut and try new things. That is my challenge to you. What will you try this week/month? Think about it and let me know! Yeah! Way to keep it fresh and new. That’s the key to success! PS – CONGRATS on the 100th post!!! Wow! Always wanted to do these fun run but never had the chance. Anyway Abby looks like you are doing a good job of being fit. Do you have any tips for starters like me when it comes to doing exercise? I would really appreciate it thanks! Try these posts: https://runstrongereveryday.com/tag/im-a-newbie/ They all fall under the “I’m A Newbie” category of the blog and are great resources for getting started. What are your goals?